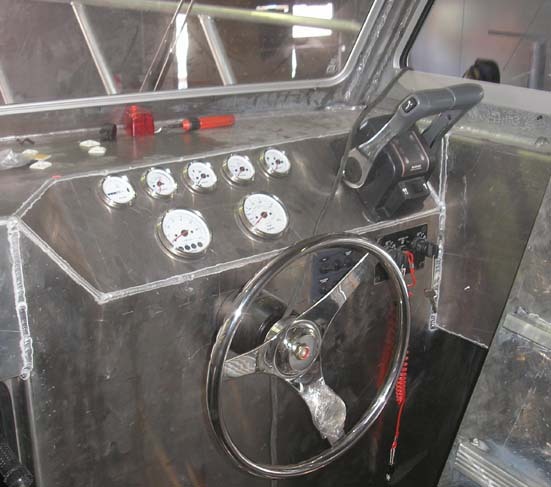 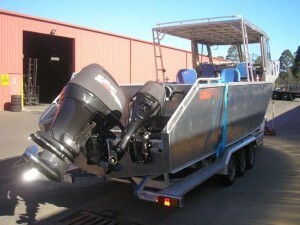 Completion photos of the 8.5m Trailered Dive Charter Boat, Designed by Peter Booth. 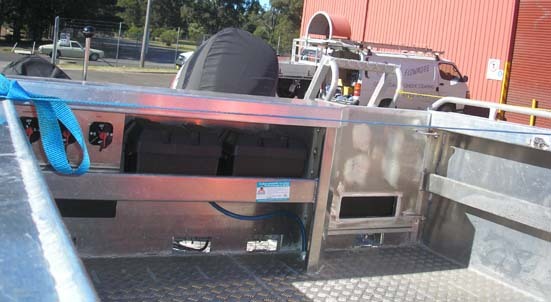 On the Trailer at the manufacturer’s Workshop. 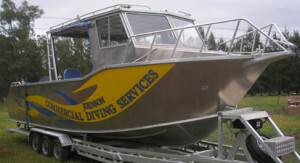 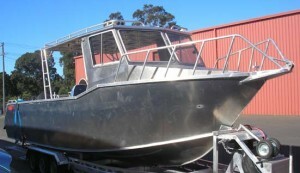 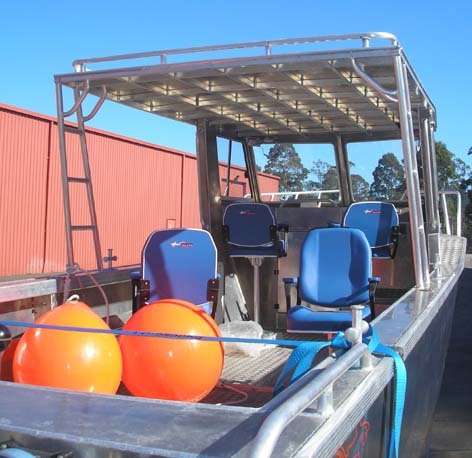 The 8.5M Dive Charter boat was designed for a commercial diving business and it has passed 2C Survey Requirements .